Part of the Jean Rouch box set! 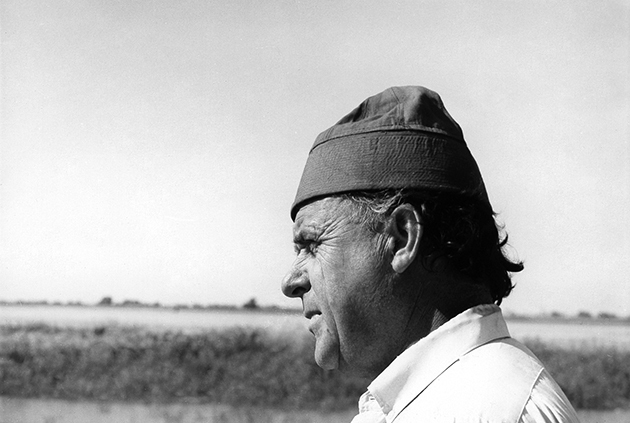 Jean Rouch first went to Niger in 1941 as a 24-year-old civil engineer, building roads in the French colony. But unlike other colonists, he came to see Nigeriens as equals, spending much of the next 60 years in West Africa. Much has been written about how Rouch’s films, blending fiction and documentary, road movie and ethnography, influenced the French Nouvelle Vague and the cinéma vérité movement. But JEAN ROUCH, THE ADVENTUROUS FILMMAKER is unique in its exploration of the less well-known role Rouch and his films played in developing cinema in Niger, from working with local crews, to featuring Nigeriens on camera, to a fascination with telling Nigerien stories that continue to resonate. It was a meeting with 18-year-old fisherman Damouré Zika that would set Rouch on his future path. With Zika as intermediary, Rouch was allowed to film a ceremony with his grandmother, the conduit for a spirit that would possess her. This sparked his interest in ethnography, a practice he approached with openness and lack of judgment. In contrast with filmmakers of the era who set themselves apart from the “others” they were filming, Rouch collaborated with locals such as Zika—who both co-directs and appears in many films—and screened cuts with his subjects, encouraging them to offer input and make changes. During the course of his career, Rouch made over 120 films. The excerpts in this documentary capture their astounding range—from the comedy of COCORICO! MONSIEUR POULET to the striking MOI, UN NOIR, which launched the career of great Nigerien director Oumarou Ganda, to the shocking and controversial THE MAD MASTERS, which captured a violent possession ritual that Rouch saw as offering an outlet for the traumas of colonialism. Rouch’s work was not without controversy, especially when it comes to his shaping the realities he films, and the accusation that he sometimes sensationalizes through his outsider’s gaze, concerns that are addressed here. JEAN ROUCH, THE ADVENTUROUS FILMMAKER features archival interviews with Rouch, a wealth of excerpts from his films, and interviews with an array of West African commentators: Rouch’s longtime collaborator and sound engineer Moussa Hamidou, filmmakers Sani Magori, Aïcha Maky, and Abdoulaye Boka, ethnologist and filmmaker Mariama Hima, teacher and researcher Antoinette Tidjani Alou, and author and illustrator Sani Djibo.